This one's for the lovers of cult horror and vampires. Filled with scary sounds, 3D graphics and two vampish bonuses, Blood Suckers will give you the creeps while delighting your senses at the same time! Play Blood Suckers For Free! 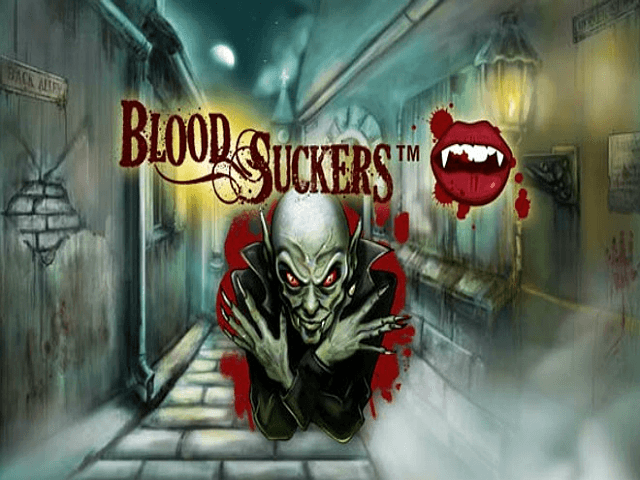 Lovers of cult horror will enjoy playing the Blood Suckers slot from NetEnt, which features those iconic creatures of literature and the movie screen – vampires! And while there's a saying that you should never openly welcome a vampire into your house, unless you're looking to be well and truly 'fanged', it seems safe to risk it on a laptop or mobile device, given the rewards and gameplay on offer over this slot’s five reels and 25 paylines. The Blood Suckers online slot is powered by the very latest in NetEnt's slot technology, creating a work of art that will give you the creeps while delighting your senses, whether playing at Halloween or simply on a dark night. Spinnable from 25p to £50, the solid pay-out ratio and interactive bonus make the Blood Suckers slot another hit from NetEnt. When it comes to video slots that grab attention, the Blood Sucker online slot machine ranks high in the stakes. Based on the legend of Count Dracula and his notorious Transylvanian castle, it has a graphical beauty that creates anything but a cute and cosy gamescape. The five reels are loaded with slot symbols that bring to life a story that includes Count Dracula, sacred bibles, holy water, garlic, stakes and hammers, vampire hunters, blood drinking and Dracula's bride. NetEnt has really gone to town to make a stunning slot experience, with scary sounds and 3D graphics ensuring it's finished to perfection. The game features relatively low volatility, meaning the ups and downs in the pay-outs aren't as drastic as some slots on the market. This element of gameplay can help gamers enjoy long sessions from a modest budget, which is key to triggering the two bonus games that can pay out with big win multipliers. 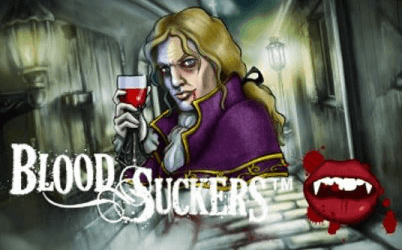 The Blood Suckers video slot is laced with two vampish bonuses that can either put the frighteners on a spin, or leave the vampires broke as they watch the wealth of their eternal life taken away by a pure-blooded human. The most enjoyable feature in the Blood Suckers slot is the stake and hammer bonus, triggered by landing three or more scatter icons in a line. The feature takes the player into the vampires’ ancient burial chamber, packed with scary coffins. The gamer’s mission is to open the coffins and slay the vampires one by one, rewarding our brave hero or heroine with cash bonus pay-outs. Players can receive up to 178-times their stake, but finding a bat inside a coffin ends the feature instantly. The second bonus is the free spins feature, activated by matching three or more Dracula's bride avatars across the five reels. Players lucky enough to get four symbols receive a 25-times reward, while five icons leaves the vampires reeling with a 100-times win. The bonus automatically offers ten free spins with a three-times multiplier, while three or more of the Dracula's bride icon during the bonus delivers another ten spins, minus the multiplier. Ultimately, the free spins can pay out a jackpot as high as 900-times, so it's worth playing regular sessions in order to try to trigger some free spin rounds.